In July 2013, Brian Blount was preparing to go to South Africa with his good friend, Reinhard Rehberg from Germany, to equip and release believers there to “do the stuff” of walking in a lifestyle God’s power and love. He wanted to share some video testimonies he had recorded on his smartphone over the course of the previous year. Brian asked his friend Mark Goering to assimilate the videos on one disk that would be easy for him to show at the conference in South Africa. While compiling the testimonies, Mark found that a story began to emerge. Over the coming months, a film that explores the subject of power evangelism while equipping the viewer to join the journey came together. Kingdom Encounters is a collection of stories told firsthand by those who experienced the love and power of God. In fact, much of the footage used in this film was recorded by Brian and his team using smartphones in response to spontaneous encounters moments after they happened. The video testimonies capture the rawness of those encounters, which transpired mostly in Oklahoma City where Brian lives. Join Brian on a journey as you watch this film. Expect to walk away encouraged, trained, and equipped to walk in love and power as you go about your own everyday life. 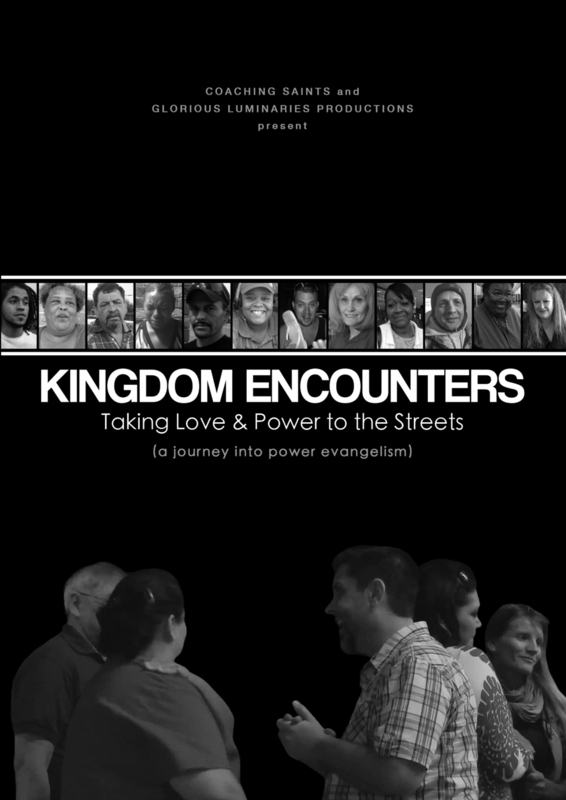 Kingdom Encounters explores the subject of power evangelism, but it goes beyond that premise. By design, it is a training resource that explores the process of developing a lifestyle of seeing power encounters in everyday life. It is also an equipping resource that imparts faith in those who have watched it to "do the stuff." It is our desire not only to inspire you, but actually to impart the tools and experience for you to immediately participate in what is demonstrated in this film. We have developed a fully-immersive experience we call A Weekend of Kingdom Encounters.